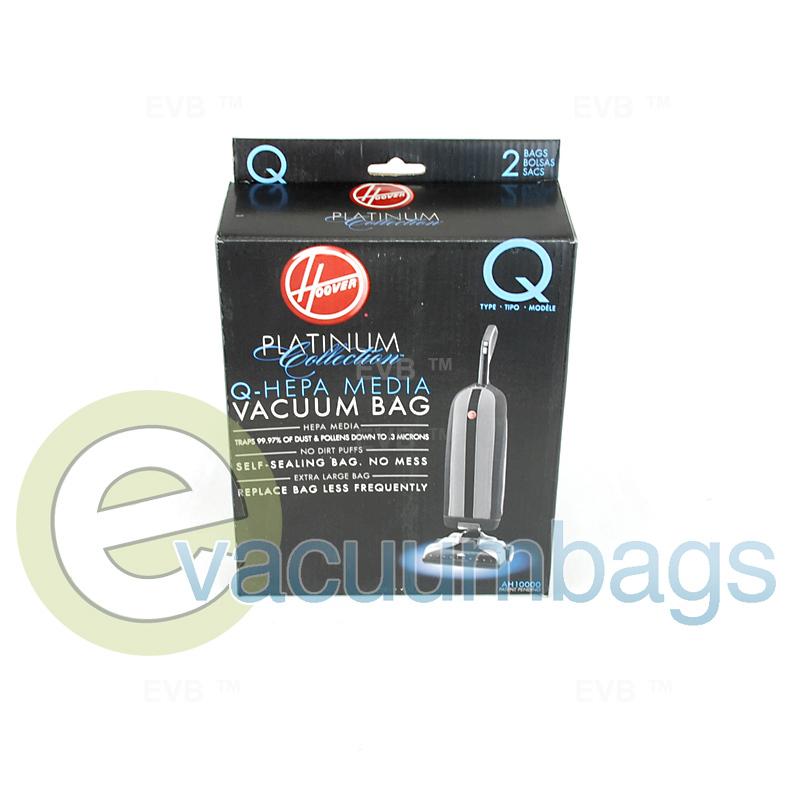 Hoover Type Q HEPA media vacuum bags, from Hoover's Platinum Collection, designed for Hoover Platinum Collection Lightweight Bagged upright vacuum. Fits models UH30010, UH30010CCA, and UH30010COM. 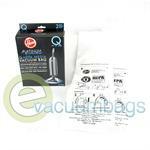 These bags trap 99.97% of dust and pollens down to 0.3 microns. 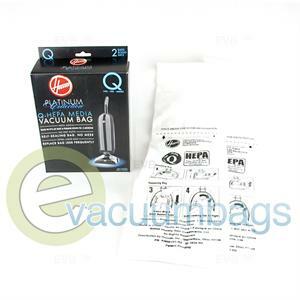 Large capacity vacuum bags for replacement less frequently. 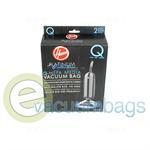 The self-sealing bag creates a mess free bag change! 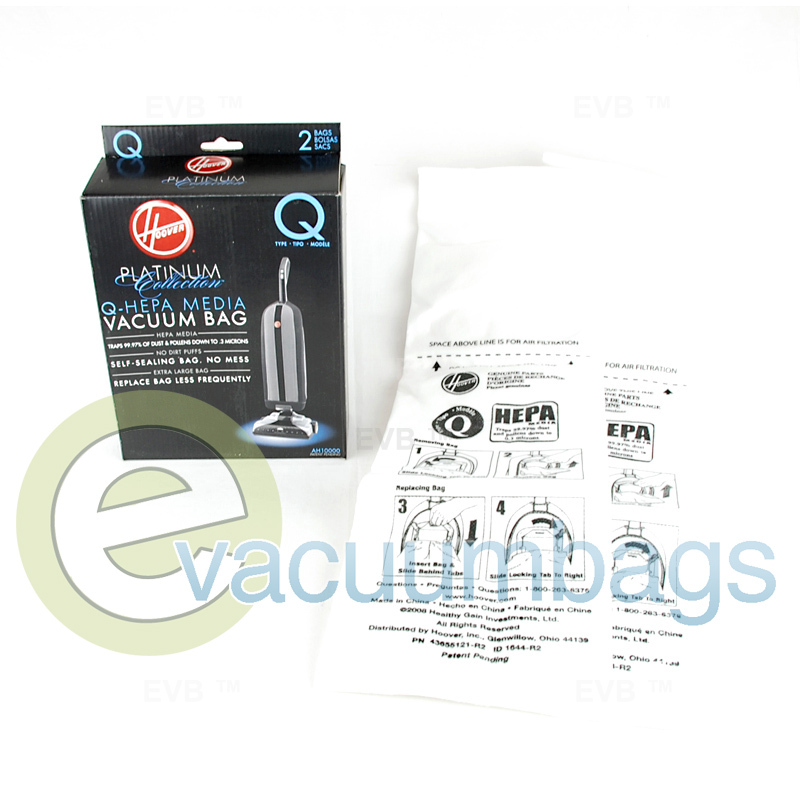 Package contains 2 vacuum bags.